Protests against Egypt's President Morsi turned violent in three northern cities as anti-government rallies were called across the country. Demonstrations have also gripped the capital as the opposition fears a government crackdown is looming. 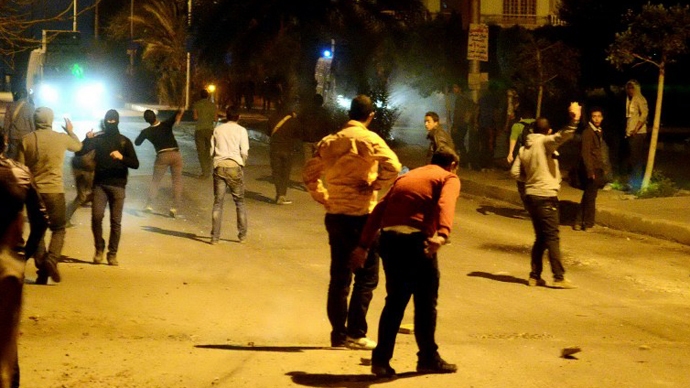 Hundreds of unknown assailants lobbed stones and Molotov cocktails at protesters in the coastal city of Alexandria. The protesters had gathered to voice their disaffection with Islamist President Mohammed Morsi's Muslim Brotherhood and demand early elections on Friday. Conflicting reports have both identified the attackers as “pro-president Mohammed Morsi supporters who are fighting the anti-government protesters” as well as “embittered shop owners in the vicinity,” RT’s Correspondent Bel Trew, who is in Cairo, said. Trew said violence was ratcheting up in the city, as birdshot had reportedly been used by security forces. 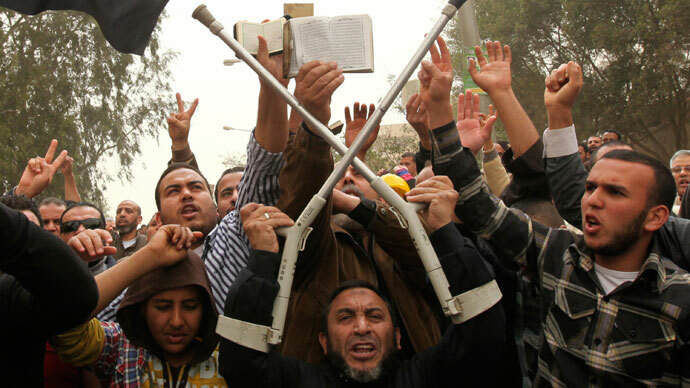 In the Nile Delta city of Zagazig, further clashes were sparked between demonstrators and riot police after protesters attempted to burn down a Muslim Brotherhood office. 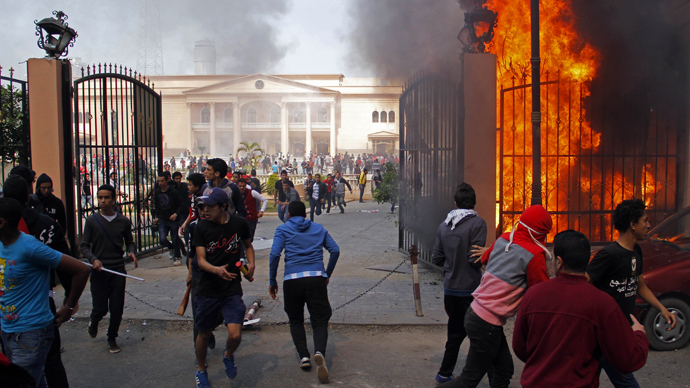 Earlier on Friday, violence erupted after around 400 protesters gathered in front of the home of Egypt’s interior minister in Cairo. Later on Friday, dozens of protesters in the industrial city of Mahalla torched a police vehicle during anti-government demonstrations. 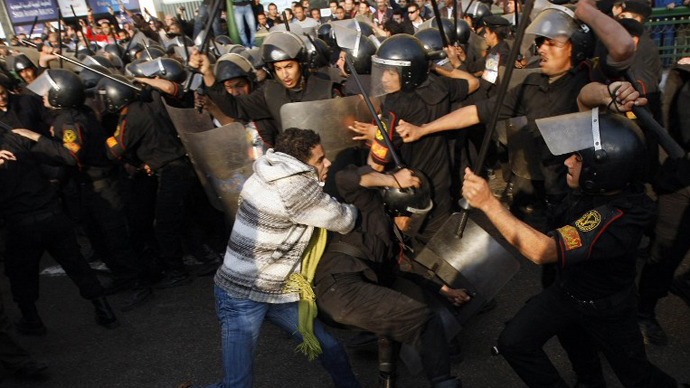 Police fired teargas to disperse the crowd, and dozens reportedly suffered from asphyxiation. Activists claim at least two of their members were injured by birdshot pellets, and four were arrested after making derogatory chants against the country’s interior ministry. 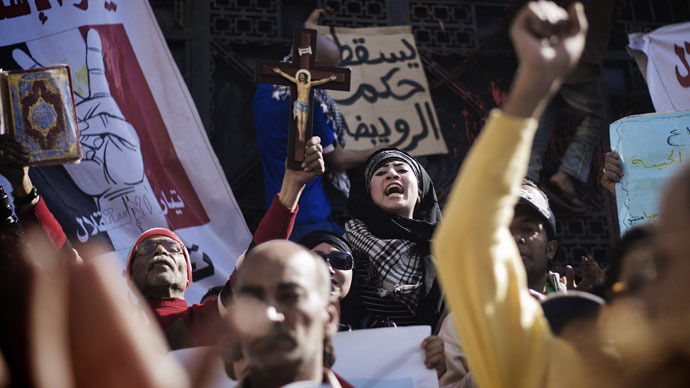 The protesters, members of the secular and pro-democracy April 6 movement, staged the early morning rally to decry what they characterized as heavy-handed tactics being deployed by the ministry. They further demanded the release of activists who had been arrested during recent skirmishes with security forces on Tahrir Square. A separate protest in Cairo calling for the ouster of Egypt’s Prosecutor General Talaat Abdullah attracted hundreds of protesters on Friday, though no violence was reported. The protesters, who claim Morsi’s appointment of Abdullah was unconstitutional, were further incensed by the prosecutor general’s issuance of arrest warrants against five of Egypt’s most high-profile pro-democracy activists on Monday. 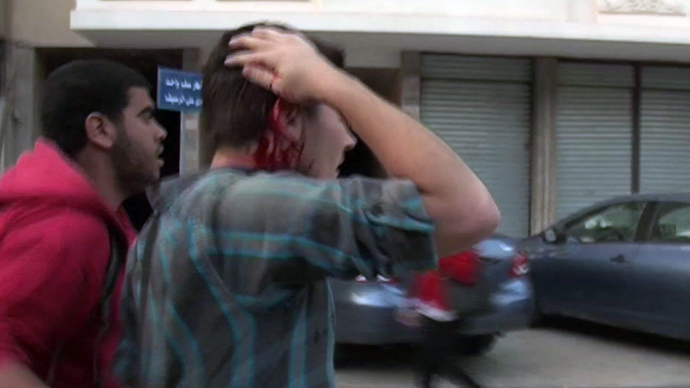 The activists were accused of instigating violence near the Brotherhood’s headquarters in Cairo last week, which left nearly 200 people injured. The warrants were issued a day after Morsi delivered an angry address in which he promised to take action against the opposition. He further warned that he would “cut off the hands” of those seeking to undermine Egypt’s security. “People have been saying that perhaps we will see emergency law across the country and possibly further intervention by the army,”Trew said. On Wednesday, Morsi said parliamentary elections might take place in October, six months later than originally scheduled. Morsi had initially planned a four-tiered election for April, but a court overturned his decree calling for the poll. The country’s main opposition bloc, the National Salvation Front, had previously announced they would boycott the April vote, claiming it would not be sufficiently transparent.